Of the high street brands on sale in the UK there are a couple that consistently excite me with new launches and one of those is Bourjois. Without fail, each year they launch something new and exciting and more often than not they’re one of the first to market for something new or something that’s been seen in the high-end market but not yet from an affordable brand. 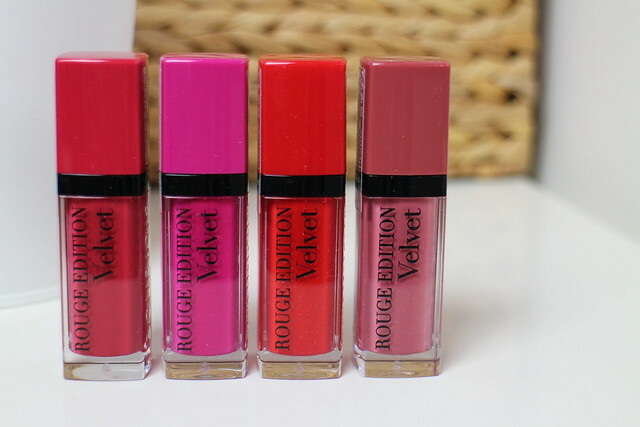 This post is just one dose of new-ness from Bourjois, in the shame of their new Rouge Edition Velvet lip creams * (or Bourjois Rouge Velvet for short) – a liquid lip colour, that’s highly pigmented and dries to a more matte finish on the lips. The shades above (L-R in all shots) are: 02, 06, 03 and 07. My favourites have to be 06 – the bright, blue-toned pink and 03 – the orange toned red. Both amazing bright shades that leave a gorgeous shade on the lips that just screams Spring/Summer. The shade 02 is also very pretty, quite a classic bright red – slightly more pinky toned than solid classic red but very universally wearable. Then there’s shade 7 that’s one of those rosey pink ones that not everyone loves but can be very flattering and more natural looking than pale pink shades on the lips. But in my book, it’s the statement colours that are the winners from this collection – absolutely loving 06 and 03. I do sort of wish they had catchy names, but there we go! What do you think of this exciting new launch from Bourjois? I suspect this may be the beginning of a bit of a lip-cream/stain trend in the highstreet beauty world – so excited to see what comes next! Bourjois Rouge Velvet * will be available from Boots – you can join their waiting list now if you’re especially excited! Ooh I love 03! Might have to try these out – whats there staying power like? Hi! 🙂 I was just wondering if you would let me in on your pretty photo edit! I was just wondering what you use to get the circle layer on top of the picture? Hope you don’t mind me asking, It looks lovely. Love your blog too! I haven’t seen these in my local Boots yet but I can’t wait to try them out. I love the 02 and 03 shades but I agree with you I prefer when products have catchy names. I really wanna get them!!! I’m one of those people that really likes 07 and those type of shades! I dislike it when brands decide not to give their products a name – it makes it feel like they don’t care as much and haven’t looked at the finer details. I do like a product with a shade name too – find it makes it easier to make it a true ‘love’ within a collection. Is that odd?! 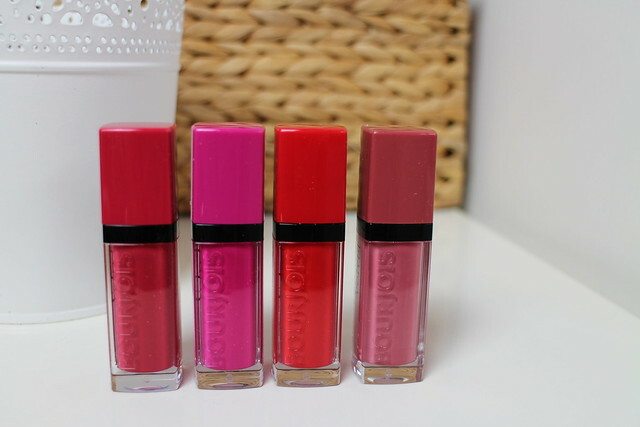 These look beautiful, I also love Bourjois products so I can’t wait to give these a go, and I agree I love the pink one. 07, looks like a gorgeous colour, can’t wait to try these. I can’t wait for these to hit the stores! Love the colours! Love the look of 03 perfect for spring! Sephora has some awesome dupes to these..luster mattes and there bright pink one is to DIE FOR…BRIGHTER AND MORE COOL TONED THEN CANDY YUM YUM TYPES..but love them.